Gone are the days when folding chairs were a euphemism for ‘uncomfortable piece of trash,’ when the mere mention of them would lead to multiple staredowns of irritation and possibly, even disgust. Back then, best folding chairs was only good for causing you back pain and for sitting on as a matter of lack of choice rather than a voluntary action. When you go visit the beach or park, no doubt you’ll need a place to sit and relax. Buying a chair and carrying it around just to go to the beach sounds silly, admittedly. Plus, it would look sort of unorthodox. That is perhaps what brought to mind the idea of a foldable chair. Foldable chairs are, well, foldable, into more compact sizes that are carry-friendly and can thus fit in your car. Moreover, you can carry it around, and best of all, you’ll now look only half as silly as from before. What’s more is that these days, foldable chairs aren’t just the faux-chairs that they used to be, thanks to the advent of modern-day technology. They are now chic, comfortable, and can both be looked at without scoffing in discontent and seated on without causing terminal back injuries. 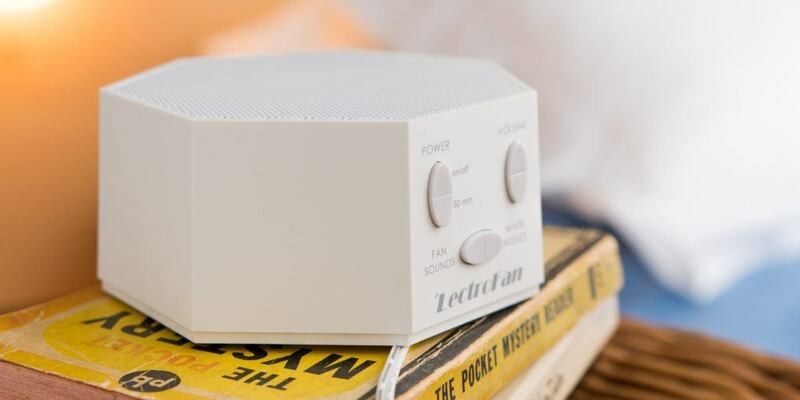 They have been optimally engineered to fit in both small and large spaces, but for the purposes of this article, we’ll concentrate on small spaces such as offices and apartments. However, if you’re one for luxury over practicality, you’ll find there are folding chairs that allow for even the addition and removal of extra chairs when needed/not needed. 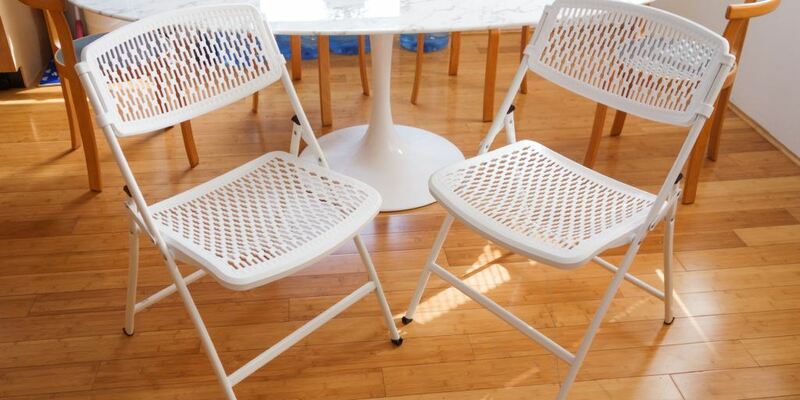 First off on the list is one of the classiest folding chairs on the market. It’s also been the number on selling folding chair on Amazon for a while now. And on closer inspection, it should pretty easy to point out why. The Hercules Family line of chairs has been made for elegance and simplicity, neither too obtrusive to get in the way of the other. It has a 17-¼-inch width and 32-inch depth that offer both a comfortable sitting position and an 800-pound weight capacity. This way, regardless of your size or weight, you should be able to fit right in. 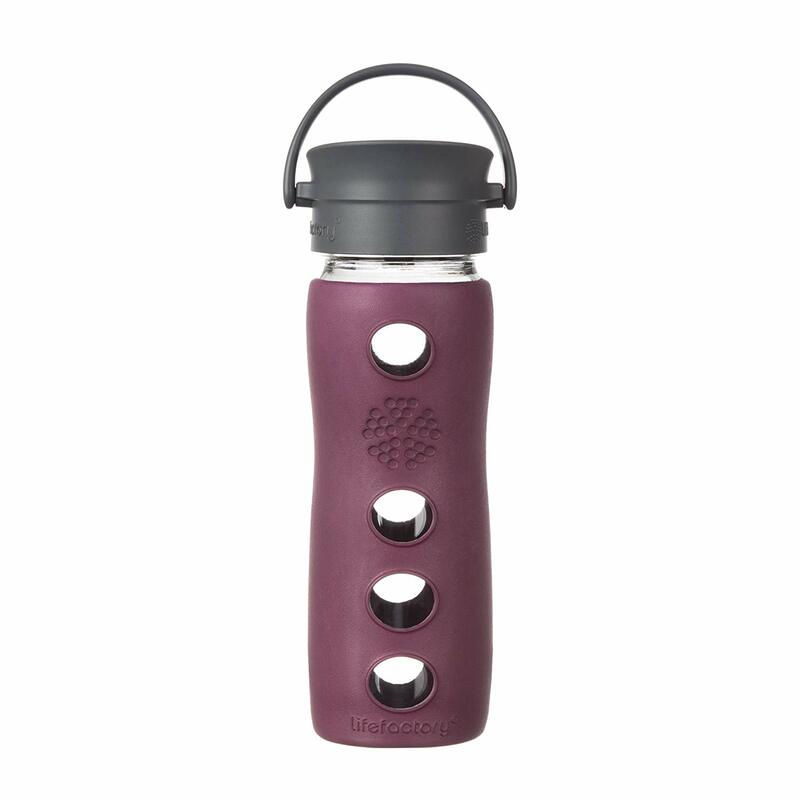 What’s more, it’s extremely lightweight – making it easy to handle and even carry around. It comes with a contoured back and seat, meaning that the chair will contour according to your body shape. 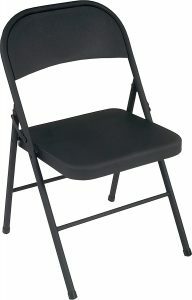 Also, it offers an extra level of comfort that’s been so hard to find in previous models of folding chairs. The Cosco All Steel Folding chair comes second on our list because of not only its incredible comfort but also its durability. It’s a wonder how they managed to make it so durable without sacrificing its portability. Because it is light in weight indeed it is ideal for outdoor purposes. 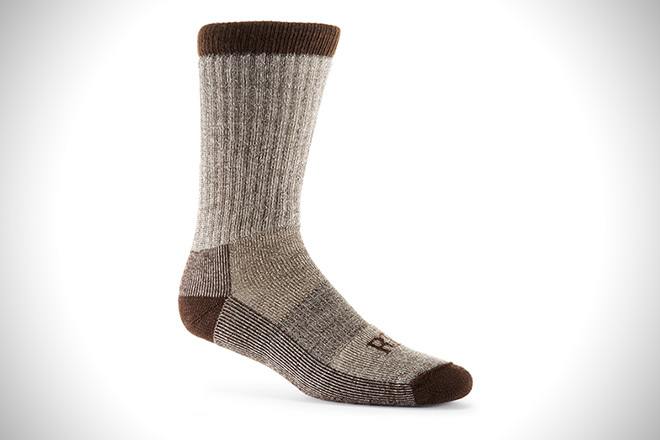 This model features a sturdy steel construction and marring leg. Also, it has a nice touch and you can store it in just a short period of time. Additionally, it features a powder coated frame, which gives it immense power over the power of moisture. It’ll be able to last a really long time of continual use on salty beaches without suffering the effects of corrosion. 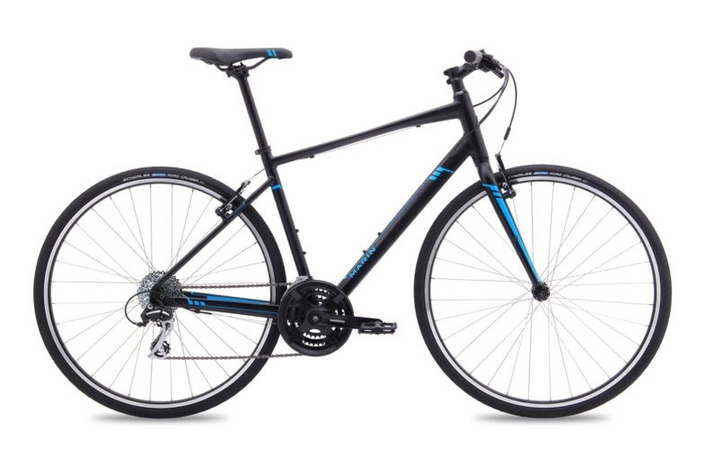 Lastly, it features cross braces and a tube-in-tube reinforced frame that gives it even more strength and stability. Lifetime 42804 are made from high-impact polyethylene, giving it the sturdiness of steel while not compromising on comfort. The exterior steel frame is also powder coated to increase its strength even further and give it the extra durability, It should be safe to say that this chair is our number one pick when it comes to durability, and should last you a lifetime. To add to its durability is its weight. 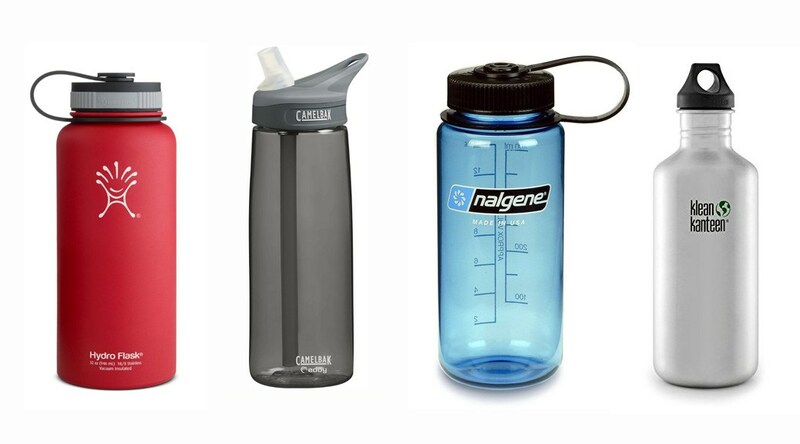 It’s incredibly lightweight and easy to carry around, making it perfect for both indoor and outdoor use. The powder coating makes it easy to clean while an additional cross brace included in each of the individual tubings offers even more additional support for the use. It also features a contoured backrest, offering maximum comfort by, in essence, molding itself according to the shape of your back. Lastly, this chair is also equipped with non-marring foot caps, so rest assured no damage will become of your precious floor tiling. The Cosco fabric chair excels the most when it comes to comfort, where it gets a golden badge of excellence. 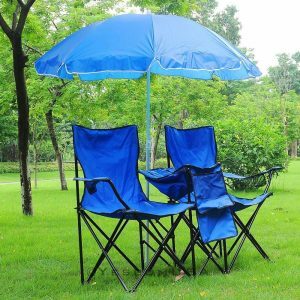 It features a soft padded fabric seat and back, making it ideal for people tired of having their backs against steel or uncomfortable plastic whenever they are at the beach. 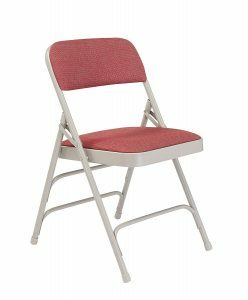 The Cosco fabric folding chair also offers the ability to fold completely flat, making it compact and ideal for easy storage. Once you’re done with your work at the office, you can simply fold it up. Afterward, store it in your garage for safe-keeping and use later on. The chair also weighs only 10 pounds, thus it is easy to carry around the office, which is what’s it’s ideally meant for. The steel frame is also powder coated, offering it quite a durable finish. This is together with cross braces and a tube-in-tube reinforced frame that gives the chair an incredible amount of strength and stability, so regardless of your weight or size, this chair will be perfect for you. If you’re looking for sturdiness, then you’ve met your match, The Flex One is possibly the most sturdy folding chair available on the market to date, with the ability to withstand up to 1000 pounds of force. The secret behind this strength is its durable plastic mesh. 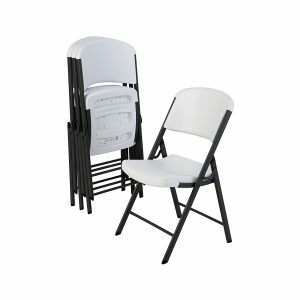 The plastic mesh ensures the folding chair will be in one piece and serve you a really long time. The manufacturers are so confident of this durability that it comes with a ten-year warranty. Unless you follow the instructions given by the manufacturer, you can get a free replacement. What’s more, Flex One Folding chair comes with the ability to morph itself according to the specific shape and size of your body. Rest assured that regardless of your weight, body shape or size, this chair is for you. This is especially so if you’re bigger-bodied since the chair is a bit wider than most others you’ll find on the market and has lots of room to sit on, instead of having to squeeze yourself in an itsy-bitsy living space. In terms of comfort, it has the unique ability to minimize pressure points. Last but not least is the generous price that’s certain to get a few heads turning (it’s quite affordable). 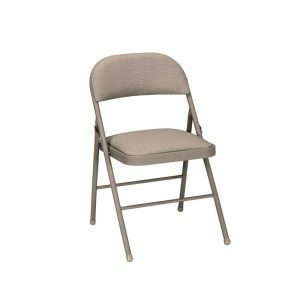 This National Public Seating 2300 series comes with a reinforced steel frame and is comprised of an upholstered premium fabric seating with three double-riveted leg cross braces and a firmly-mounted backrest. Additionally, it has double hinges on the side, that make it possible to fold this chair whenever you want. Thanks to its double-riveted legs, it can support up to 300 pounds of force. These all add up to unprecedented stability even when at maximum load. 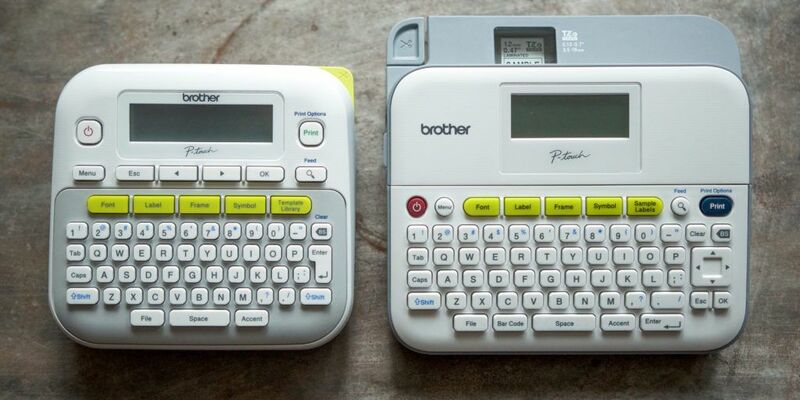 It’s quite a durable model and sustains heavy usage without incurring damage over long periods of time. The seat of this chair also has a round, waterfall front edge that helps to decrease the pressure at the back of your knees. Additional features include a powder-coated steel frame, eliminating the need to worry about corrosion and replaceable polyethylene parts, preventing damage to any surfaces the chair rests on. 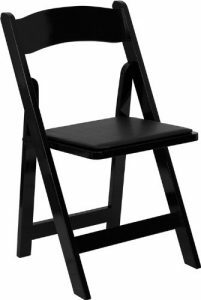 The Cosco Vinyl folding chair, much like its brother that’s been ranked earlier on this list, is a great fit for the office and similar small spaces like a dining room or a card table. It only weighs about 9.4 pounds – not so too difficult to carry it around – and can fold to a minimum of three inches flat. When in comes to storage space, this item doesn’t consume too much. 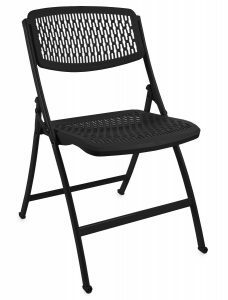 This folding chair also features a powder coated finish on top of its steel frame that offers an extra bout of durability, making it a crowd favourite. The strong, two cross base construction also adds the final bit of strength. This is in addition to its vinyl padded seat, and a tube-in-tube reinforced frame that makes it the great product that it is. It also requires very little maintenance, making it easy to clean the few times it’s going to need cleaning. 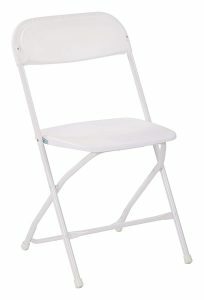 Lastly, the seat is well-contoured and feels amazing to sit on which is similar to Cosco Deluxe Vinyl Folding Chair. If you’re one for quality, style, and comfort, this is the end of the journey for you, as long as, of course, you’re willing to offer a bit more money than average to get this high quality, a bit unorthodox folding chair. The Elite Folding Rocker has a tubular steel frame that gives it an extra bout of strength and durability and a long-lasting fabric seat that provides absolute comfort. 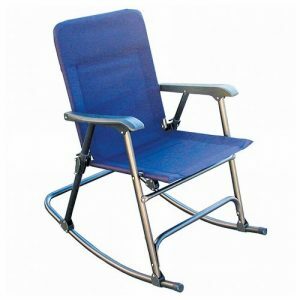 Unlike the other folding chairs, you can rock the Elite Folding Rocker back and forth. Also, the disturbing crossbar across the chair was eliminated, making it easier to place your legs comfortably. No more shifting in place to find that perfect sweet spot. Additionally, it also has two plastic armrests; you can rest your arms too. Lastly, it comes with a safety latch, a missing feature from the other folding chairs. This essentially ensures you don’t have to worry about accidental folding. This may not be the strongest chair on the market since it can’t withstand a whole load of force, but it’s quite cost-effective. The single most important trait that got it a standing on this list. The Picnic Double Folding Chair is also lightweight, making it easy to haul from one place to another, and comes with the unique perk of actually being a two-in-one product. If you have a friend or partner you want to share with, this is perfect for you. 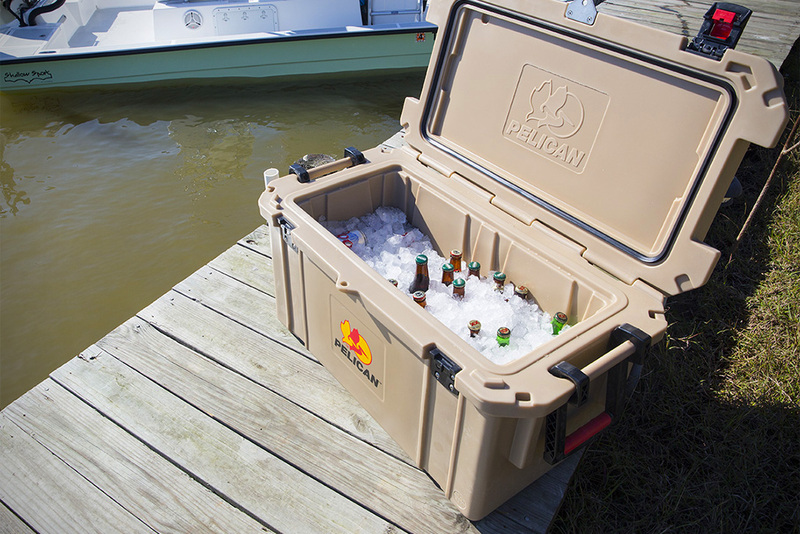 It also comes with a cooler, where you can store your cold drinks while out boat fishing or even picnicking. Lastly, though you may have figured this out already, this chair is incredibly portable and lightweight. Thus moving it around from one place to another is very easy. Last on the list is a bit of an ordinary-looking chair, so you might not be impressed from face value, but the chair is constructed from durable resin that makes it perfect for both outdoor and indoor uses despite its name. 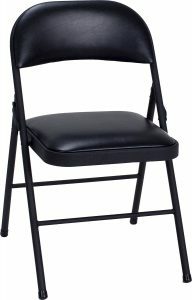 Once again, the Office Star Folding Chair doesn’t have as much oomph as some of the mightiest chairs that have appeared on this list, only being able to handle a measly 200 pounds at maximum capacity, but it makes up for this with an incredibly durable and sturdy frame. 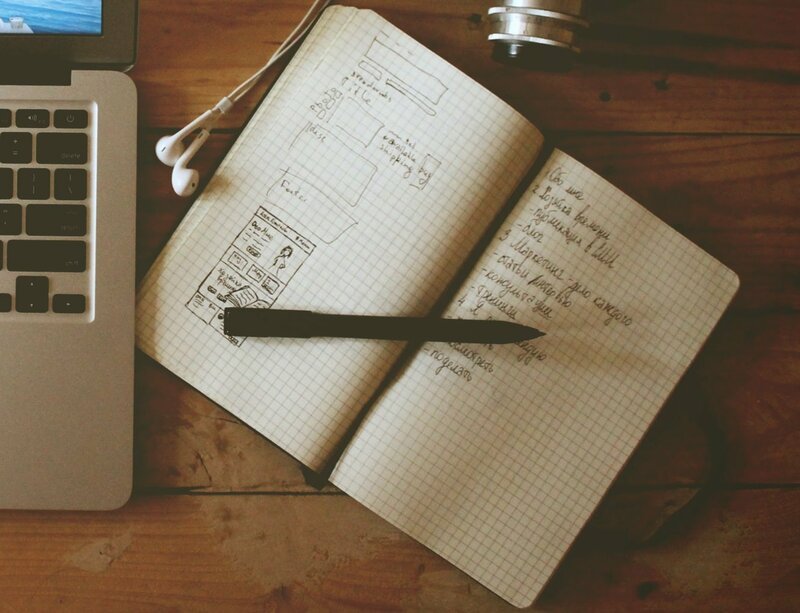 Besides which, it’s been made to be multi-purpose and extremely light, rapidly expanding its use cases. Nevertheless, due to its rather dull looks, it’s perfect for use on the beach as well.